Have you ever run out of gas and was stranded in the middle of the road? Running out of fuel with no fueling station nearby can be a frustrating experience. In such a situation, Knight Towing can solve your problem by providing you 2 gallons of fuel at the earliest. The fuel we provide will be enough for you to get your vehicle to a nearby fueling station, where you can fill up more fuel. We offer you 24/7 fuel delivery services, so that you can get back on the road as soon as possible, whatever time of the day it is. 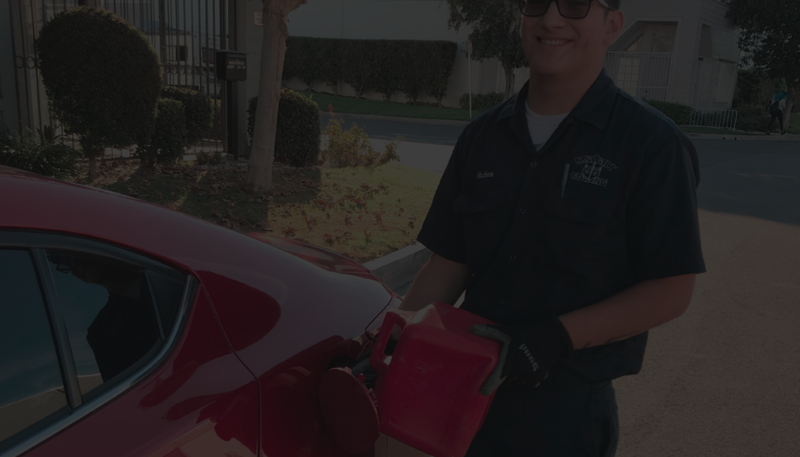 At Knight Towing, we offer you prompt fuel delivery services, and we reach right at your location to deliver you the fuel. Our professionals are not only experienced, but also courteous, polite, friendly, and perform their work in a professional and timely manner. Our expert technicians will help you refuel your automobile, so that it can get back on the road quickly. Knight Towing has more than 30 years of experience in providing fuel delivery and roadside towing services. When you call us to avail fuel delivery services, we assure you that fuel will be delivered to your vehicle at the earliest. Our fuel delivery services come at affordable prices. Call us now to get fuel delivery services!